Yes, this day is an annual event cel ebrated the week after Thanksgiving to kick off the season of charitable giving. 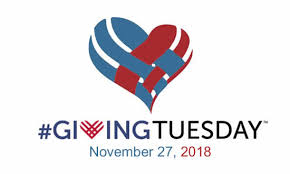 Yes, the donations you gave on “Giving Tuesday” may be deductible on your tax return. You can check the status of an organization on the IRS website at Exempt Organizations Select Check. Scroll down to the blue box that says” Exempt Organizations Select Check Tool”. Follow the online instructions. A valid charitable contribution may be disallowed by the IRS if not adequately substantiated. Therefore we suggest retaining a copy of the canceled check, bank statement with check clearing, and letter from the charitable organization. Gifts: Gifts made directly to needy individuals do not qualify for a charitable deduction; a charitable organization must be involved and the gifts cannot be earmarked for the benefit of a specified person. Consequently, donations to a fund set up to help a person or family cope with large medical bills or casualty losses are not deductible as charitable contributions. Services: Charitable deduction is not allowed for contribution of services. However, any out-of-pocket unreimbursed expenses incurred while contributing your services is usually tax deductible. This entry was posted in Blog on November 27, 2018 by c06675329.